The edge that a bespoke or custom developed course has over off-the-shelf course is well established. In this article I will illustrate the power of bespoke eLearning to create sticky learning through 6 examples. I have picked examples that address varied training needs like compliance, application simulation, and professional skills. Off-the-shelf courses are ready to use. Bespoke (also known as custom) courses. Bespoke or custom courses, as the name suggests, are specifically designed or tailor made to meet your requirement. Off-the-shelf courses can be deployed quickly, whereas bespoke or custom courses will need longer time to develop and deploy. While bespoke courses may be more expensive on account of initial development costs, they would not have any associated recurring licensing costs. 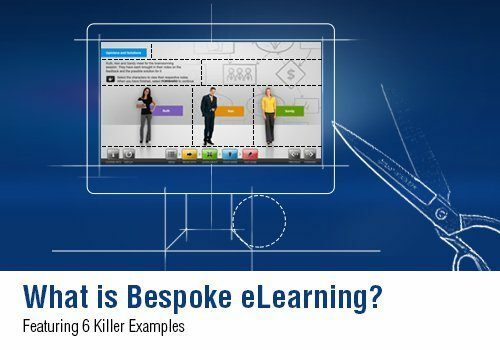 What Are The Advantages Of Using Bespoke eLearning? Bespoke eLearning courses are branded for your organization. They may use the raw content that you have or use content that is specifically created for you. The examples and case studies would be relevant to your organization and the assessments would be specifically designed for you. Their design approach factors for your learners’ preferences, your culture, and is tailor made to meet your learning and business mandates. 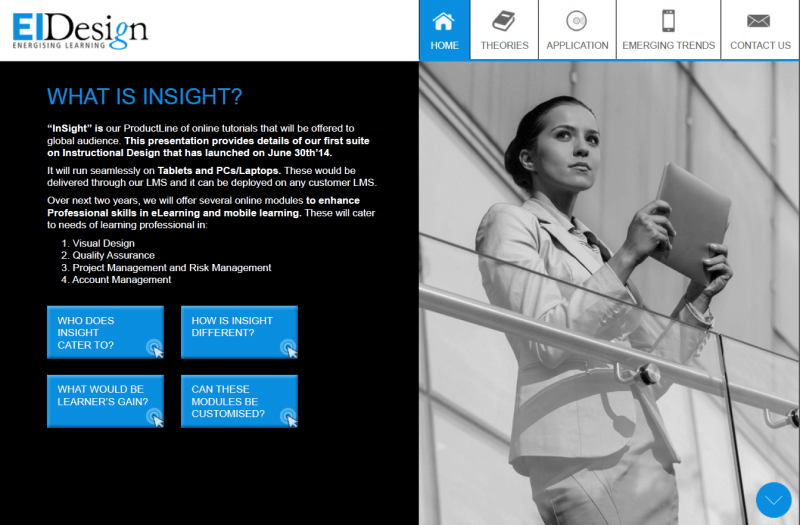 How Does Bespoke eLearning Fare Against Off-the-shelf Courses? Off-the-shelf courses are quicker to deploy, but have certain inherent shortcomings. By definition, they are generic and may not be able to meet the specific requirements of your organization. Again, they offer standard features that you need to live with and they cannot be customized to suit your specific requirements. The courses are developed as per your branding. They feature your imagery and this helps learners relate and connect better to the learning piece. The content is specific to you and your learners. It is presented in a form that will engage them and ensures the required learning mandate is met. The learning experience is customized to your program. It uses a learning strategy that is best suited to meet the required learning mandate. The Assessment strategy is customized and aligns effectively to your learning and business mandates. Looking at your dynamics, the delivery format can be for traditional eLearning or multi-device (the content would run on tablets and smartphones). This enables you to choose an authoring tool that is most suited to your requirements. You can also decide on supplementing your primary eLearning with Performance Support intervention that can lead to better application of the learning on the job. This will have a significant impact on the ROI of eLearning. 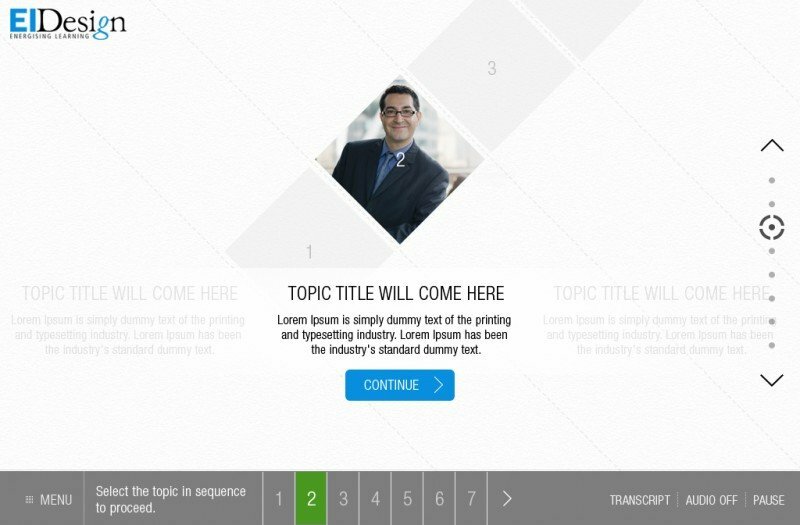 Let me illustrate the advantages of bespoke eLearning through 6 examples. I have selected examples that address varied training needs like compliance, application simulation, and professional skills. 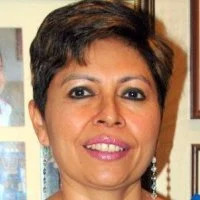 The first example illustrates an approach that is scalable and can be applied for any training area like soft skills, induction programs, and so on. 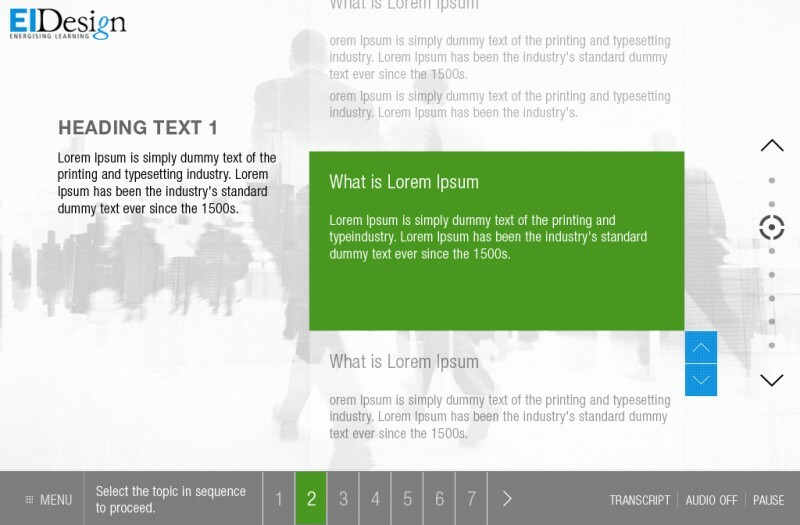 Bespoke eLearning Example 1: To highlight intuitive and immersive experience. This example is my personal favorite, as it showcases a design that does not have a “Click next to continue” or “Prompt text”. The learner can intuitively ascertain (through visual cues provided alongside the content) on what should be done next. It creates an immersive and engaging learning experience. It is a multi-device design that adapts equally well to PCs/laptops or tablets. 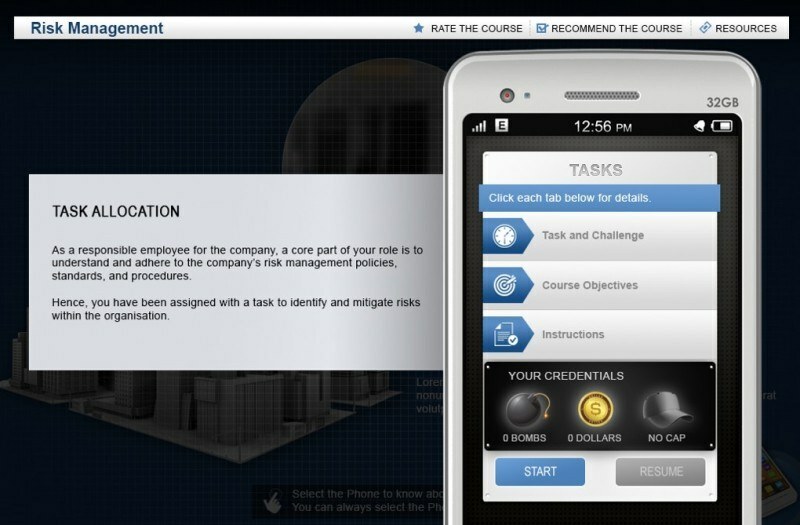 Bespoke eLearning Example 2: Gamification in Compliance. We created a simulation-based task-oriented Gamification course, which was interactive and engrossing. To achieve this, we incorporated a real work environment (visually), an element of challenge (bonuses and bombs), rewards for success (caps, badges), and learning through activities including elements of surprise and delight. Do refer to this case study in detail in my earlier article Gamification in Compliance through a serious game concept. Bespoke eLearning Example 3: Branching scenario and simulations with a progress indicator. This example showcases a complex decision making scenario. While the learners are going through the scenario, the visual indicator (shown on the right) provides cues on how they are faring. This enables them to pause and reflect on their choices and even re-think their strategy mid-course. 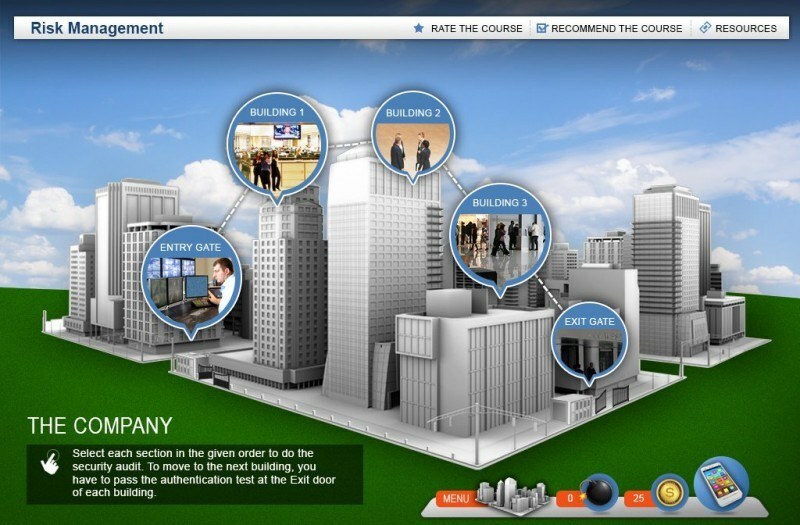 Bespoke eLearning Example 4: Application Simulation. This is a great example of how we uplifted dry and linear content into an interesting and engaging format. We chose a responsive design (to support PCs, Laptops, Tablets, and Smartphones) and made learning bite-sized enabling learners to undertake a long, arduous journey in short, engaging steps. You can view the "Office 2013 – Application Simulation" under App Simulations section (as part of our Demos). 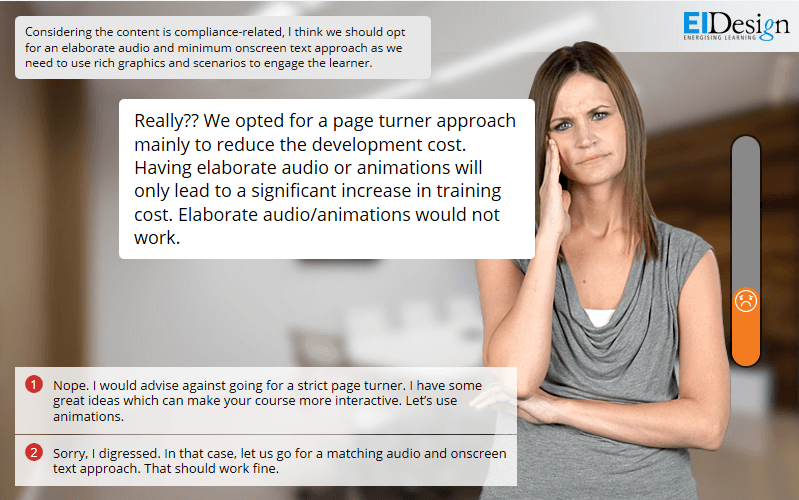 Bespoke eLearning Example 5: Scenario with a twist. In our suite of Generic Compliance, we chose a scenario with a twist by adding a theme of “Choose the Right Path”. While all of us have a sense of right and wrong, this approach added value in the context of the specific compliance mandate in terms of the most appropriate behavior and why the learners need to demonstrate the same. You can view the "Compliance – Introduction to the Code of Conduct" under Compliance section (as part of our Demos). Bespoke eLearning Example 6: Performance Support Tool - Featuring Interactive PDFs as a learning aid to supplement online learning. This is also one of my personal favorites, as it provides a better learning experience through simplicity. Interactive PDFs can be used to convert mountains of boring information into a visually appealing, interactive format. Furthermore, you can integrate videos, interactive demos, and audio to create an engaging learning experience. Do refer to the detailed case study on this outlining the value the Interactive pdf brought to my PowerPoint deck in my earlier article Performance support - Featuring Interactive pdf as a Learning Aid to supplement online learning. I do hope these examples illustrate the power of custom or bespoke eLearning in creating an effective and immersive learning experience. I look forward to your feedback and suggestions.